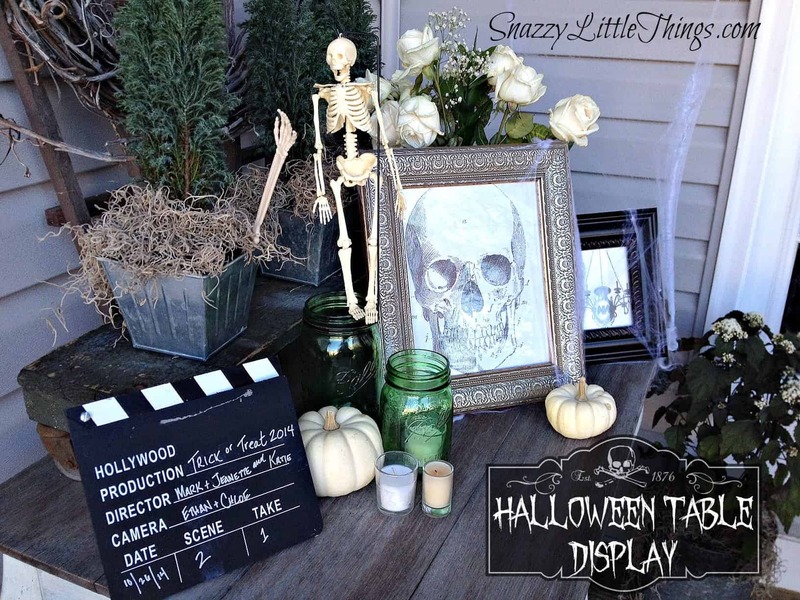 Today I’ll share how I pulled off my Halloween decorating in just a few hours simply by keeping a small “stash” of decor on hand every year. Most of this can be reused for upcoming holidays as well. 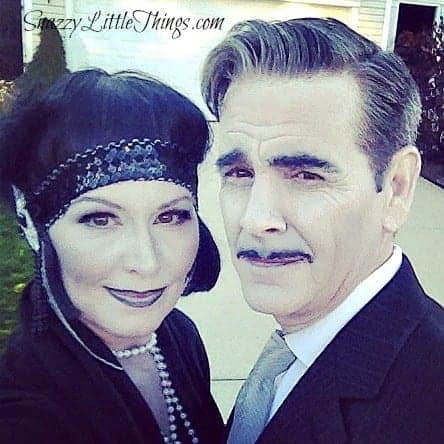 I really get into Halloween and all holiday for my kids’ sake, I love making memories for them. I love visiting Karen at The Graphics Fairy. 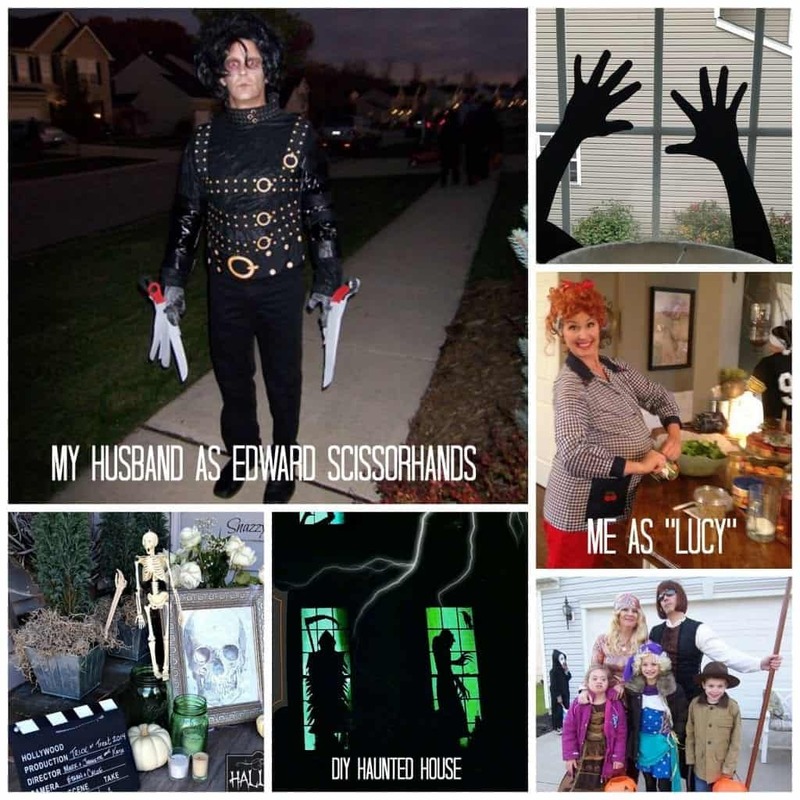 She offers a variety of royalty-free Halloween printables to choose from. The skull picture can be found here and here you can download the bat chandelier. So fun! Dead Flowers: You can never go wrong with a dead or dying bouquet of flowers. I just happened to have my roses from Sweetest Day, it worked out perfectly. Need some free silhouettes? I’ve got you covered…just become a subscriber for instant access to my free downloads. 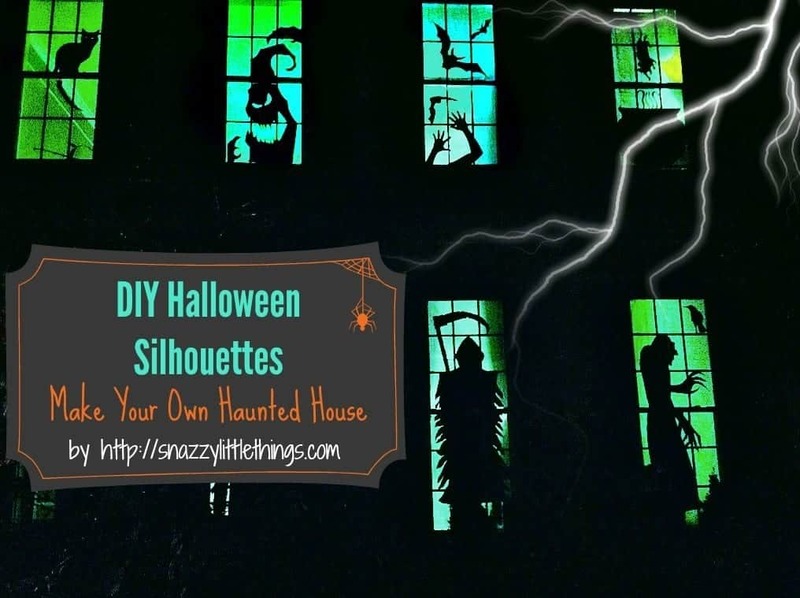 Black Construction Paper – silhouettes can be freehanded easily or downloaded if you need a ghoulish figure standing in the corner. I’ve attended numerous school costume parades for my kids, which caused me to start keeping items that I thought we could re-use as a family. My stash has saved me many last minute trips to the store. Masks: Especially the high-quality ones. I clean them out with a Clorox wipe before putting them away. Props: Even when your kids are toddlers, save their props. Think tiaras & crowns, nightsticks, police badges, magic wands, glasses & goggles. These can become reusable items as they get older, and sometimes undersized is even funnier. Makeup: Red lipstick / black eyeliner / white eyeliner. Stuffed Animals: You never know when you’ll need a pet as a sidekick to complement your outfit. Clearance items from the previous season. I simply buy and store them until next year. We were a black & white silent film couple. Our previous Halloween craziness using our “stash”. Hope you enjoy Halloween as much as we do! Great costumes and looks like tons of fun too. How fun!! The vignette looks great! Thanks for the shout out!